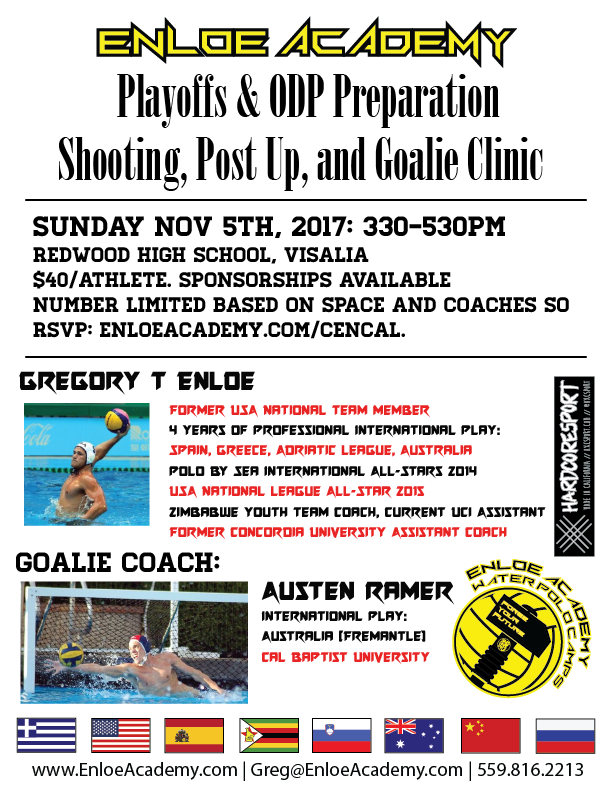 Visalia Clinic: Goalie, Shooting, and Post Up. Being born and raised in the Central Valley, I look forward to giving back to my community and sharing the water polo and life skills I learned while playing and coaching across the globe. Cash Is preferred. Checks to "Greg Enloe"
Please bring in an envelope with athlete's USAWP # and Name. Only pay what you can afford. I want everyone to be able to learn who wants to learn. To Learn about upcoming clinics please fill out the form below! Thanks for the great time Kingsburg, OneWay, and Kings!